Y'all. This top is everything! It has the most gorgeous detailing on the front, and the back is so flirty and perfect for warm spring and summer days. 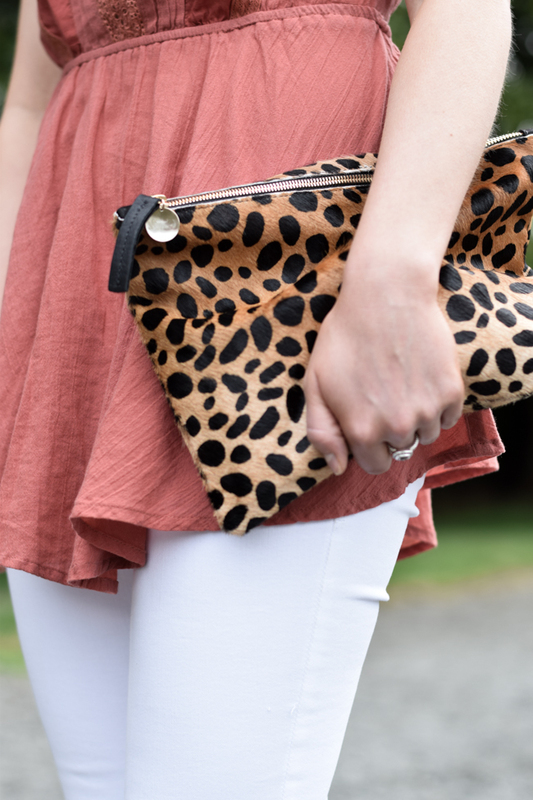 Paired with my tried-and-true white skinnies and neutral wedges, you have the perfect date-night look. I also think it would also be so cute with denim cut offs! Terra Cotta has been one of my favorite colors for spring. I have been loving this pencil skirt for work and this sweater which is so cute with a white dress and booties! Love your top, and that cutout at the back is a nice detail!! 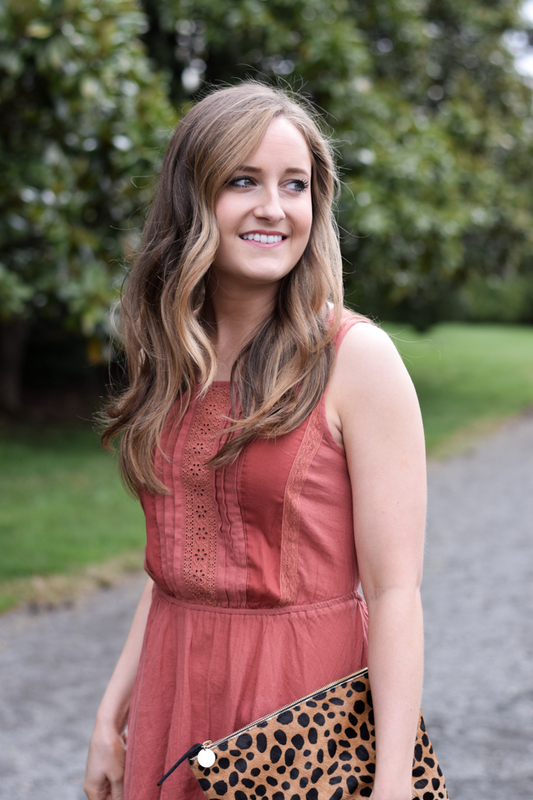 Loving this Spring look on you and the back cutout detail is so cute!